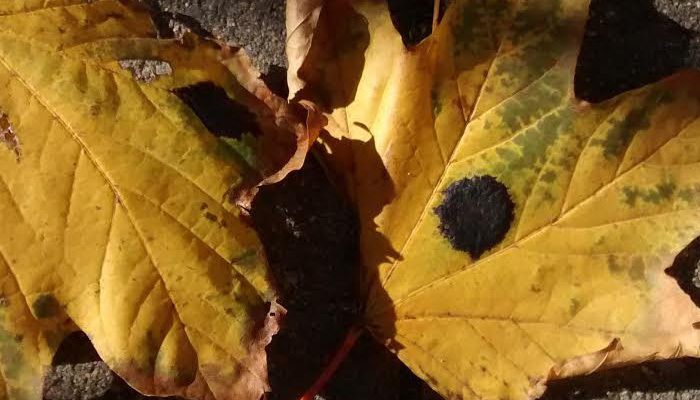 Dozens of folks over the years have asked about the black spots on the maple trees around the city of Halifax-Dartmouth. These sooty black marks are rarely seen on only one tree. Usually all maples nearby will enjoy these additional adornment. Their presence indicates an infection by a fungus in the genus Rhytisma. Healthy trees can withstand these attacks, although heavy infestations can cause the tree to lose leaves early.